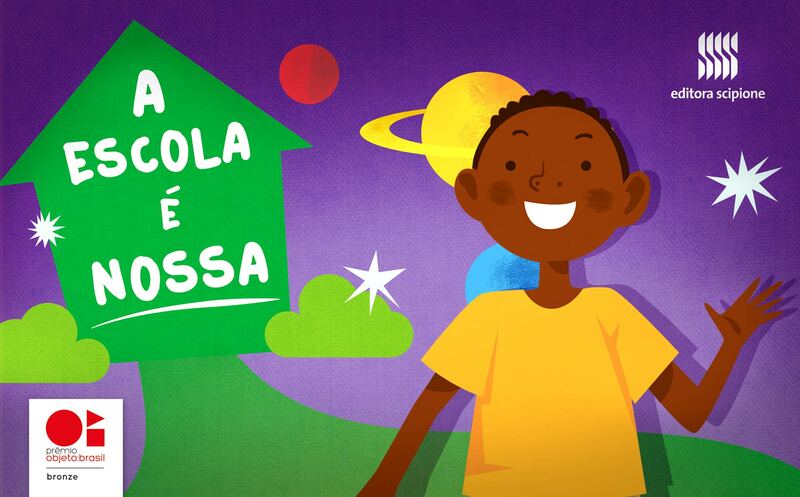 The Escola é Nossa collection from Editora Scipione (Somos Educação) underwent a pedagogical reformulation. Aimed at public education, the collection brought a more current concept. Keenwork’s challenge consisted in translating the new concept into a graphic editorial design. 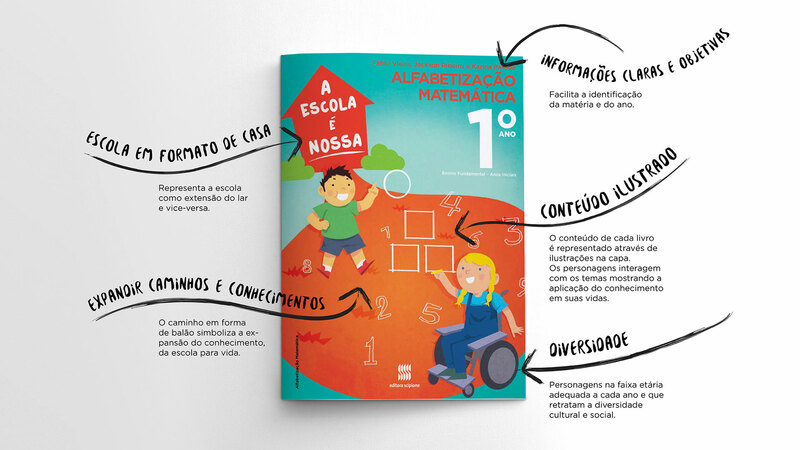 We created a product positioning strategy based on a storytelling, which uses a cover system to propose a reflection on the situation of education in Brazil. How could design contribute to its transformative role, bringing a positive impact to society, beyond an attractive cover? We created a series of covers in which education and school appear as a path, helping awaken the awareness and importance of education among low-income families and children. Despite being attractive, the cover contributes to transforming the current Brazilian scenario of school dropout and little appreciation for teachers. We proposed for the brand a collection that interacts with the cover design, always highlighting a path that leads to school. With a constructive outlook, the illustrated covers reflect the contents of the books, highlighting key elements of each stage of learning and promoting diversity, citizenship, tolerance and social inclusion as paths for education. The project received great acceptance generating admiration and identification by teachers, tutors and principals, reaching a record approval in the National Textbook Plan (PNLD 2016) for Primary Education. The project was also acknowledged with the bronze award in the Editorial Design category at the International Design Award by the Objeto Brasil Association.